^There are also the four Evangelists, two of which were Apostles and two were "apostalic men." Kaworu would certainly seem to fit the bill for the former, no? Phew, lots of Reichu to respond to. I'll try to be as brief and succinct as possible. Don't wanna get out of hand with omnislashing. Reichu wrote: Do they really? Rei Q's deal is that "her soul is somewhere else" -- an in, not actually in her body. Meaning, she wasn't born with her own soul. Meaning, it's still hinted that artificial beings aren't born with souls. Else Rei Q's soul would be in Rei Q, and not "somewhere else". I was actually talking about the conundrum of Rei II being preserved inside Unit 01 the 60-odd Reis that followed her despite her not being dead and her soul, assuming she has one, being otherwise occupied. Though since you've raised the idea, I suppose it is possible that the other Ayanamis have had a personality impressed on them with that same kind of transplant OS. It does jive with what Kaworu said about her soul being in the wrong place (I took it to mean it was somehow not in the right place within the body myself) and it could also explain why they've gone through so many of these other Reis when Gendo was protective of Rei II. If that does end up being the case I worry that it might end up really cheapening the development Rei Q had if she ends up getting tossed aside because "oh, she isn't real anyway." Remember that Eva-01 is able to be reconfigured for Rei's use, and Eva-02 is reconfigured for Mari's use. This is done on the fly, unlike in NGE, where reconfiguring a core is apparently not a simple process; despite knowing about Asuka's imminent replacement they don't have it done in time for Kaworu's arrival. The fact that the Evas need to be reconfigured at all implies that what they sync with is personalized: not just anything will do. Combine this personalization with stuff like Mari being able to use Eva-02 and Eva-08 after -05 is completely vaporized. It brings to mind data being copied around from place to place, very much unlike a soul. I was thinking of the core unit's configuration acting more as some kind of customized intermediary that allowed the pilot to interface more smoothly with whatever resided in the Eva. I know you said earlier you didn't like the term but what you're suggesting sounds more like a sort of pilot-specific AI that has been impressed on the core, if I'm following things correctly? Not a programmed AI but a digital replication of something akin to the MAGI? That's certainly a very interesting thought. Isn't the Dummy Plug said to be something similar to that? It's not actually alive but it's a good enough replica that it can make decisions in battle and generate an AT field despite not having an actual soul? The immediate comparison I'm thinking of is that battle AI that Dix Neuf had for some reason. Hm...If New Unit 02 is a new Eva build, but Asuka's core stuff is transferred into it, does it mean that the new Eva would just be Unit 02 reborn? I don't think that Eva-02 necessarily contains Asuka's mother in any capacity, but, going along with Phoenix's train of thought, I didn't think it could be ruled out either. It could still be that the missing mothers aren't a coincidence because, for whatever reason, the data of the women who reincarnated the Adams as Lilin make the best control systems. NTE's well-known "all Shinji much, much more of the time" focus change can readily explain the lack of any real attention given to what Asuka and Mari sync with. (Consider, we missed fourteen years of their lives as they fought for the future of life on Earth. "Who am I piloting?" is something of an insignificant side detail in comparison.) It could also be a reveal that's being delayed for the final film. Really hard to say right now. I'm not saying it's absolutely not the case but I feel like if they were going in that direction they'd have made a bigger deal about it or at least put a little focus on the subject. The fact that Mari and Asuka's mothers are "missing" is treated as such a non-issue for them that revealing they are inside the Evas wouldn't have much of an impact for the viewer. I don't think we even know of Asuka actually knew her mother. I figured this was a function of the Adams being separated from their own cores, thus the one that Yui entered was an artificial blank. It not being an original is a possible reason I suggested for Mark.09's ability to take control of the Wunder away from her. Here's a thought I had: what if the Adams had to be given artificial cores because theirs broke during Second Impact and released their souls? They did generate some kind of crosses during the event and those usually show up during a core rupture/AT Field collapse. Seele could have salvaged something and repaired it to create the Vessel. Going back to the previous post to round things out, what I meant by entering the core was that Shinji ripped the seat away and actually seemed to go down into the core himself, well beyond the Great Beyond Depth, and Asuka and Mari just got dangerously close. But the interior array in Unit 13 didn't seem to be moving at all. Of course nobody on the outside was monitoring and since the whole Eva got encased in a giant core that point might be entirely moot. ^ Or thirteen apostles if you count both Judas and his replacement, Matthias. @DarkBluePhoenix: In this continuity that nothing about the Magi is known, so we have no idea if similar results can be achieved without harm to the "donor". The reason I brought up the Magi as a point of reference at all is that it's not unknown for NTE to roll out ideas and concepts that weren't fully used in the original, or to otherwise subvert them; so NGE's cover story for how Evas were piloted (mentioned VERY offhandedly in episode 13) becoming the actual genuine way they're piloted in NTE fits. As for how this works, our only point of reference is Yui's experiment. Between this (which was, to no surprise at all, fatal; you just don't lower yourself into an alien organ with nothing but a wetsuit for protection and expect to live), and other moms being MIA as you mentioned, it seems that whatever exactly this process is, it may not leave anything behind. In real life transhumanist theory, there is the very real question of whether the human mind can ever be transformed into another state, like a digital one, without destroying the original in the process. NTE might be winking at that. The hypothesis is meant as a work in progress to tie together all of the details in NTE that don't reconcile with the original series. I am somewhat hesitant to use the term "digitized personality" without any reservations whatsoever, since the label on Eva-02's core COULD be a euphemism for something non-technological. [This sort of language use was prevalent in the original NGE (not 100% sure offhand how much NTE does it) -- for example, the very flesh-and-blood S2 "engine", which gets "installed" in the very flesh-and-blood Eva Series.] But there's also the change that it's not misleading us at all. In NGE, if someone blew up their Eva, they would never be able to pilot again; but here, a mere core reconfiguration on a completely different Eva later, and the pilot is good to go. This only really makes sense if one-of-a-kind souls aren't being salvaged into the cores, as per NGE, but if instead the cores contain something that is completely replaceable. Data, unlike a soul, can be freely copied and moved around; if you lose one copy, it's no big deal provided you have a backup somewhere else. That fits with what we see here. Our Test Type Eva-01 again needs some gimmick that makes it different from the others, so here that could be the fact that it's a transitional test unit, where maybe the soul wasn't even successfully digitized, just moved from one place to another. Asuka and Mari's missing mothers (or whoever's data it is that they sync with) could potentially have been victims of a more successful but still fatal soul digitization process; and unlike Yui, they can be freely copied in the form of data, which means Eva-05 and Eva-02 getting blown up won't put Mari and Asuka out of action. Ultimately, the closest thing to an answer is probably along the lines that the core is a feature of god-like beings that lets them do god-like things because cores look cool and no further justification is needed. * If the (non-Rei, non-Kaworu)** children actually are the Adams' souls confined within mortal shells born from mortal women, a key justification for doing so might be precisely because a Lilin body is so limited. It acts as its own limiter upon the souls' power. The children need to be granted access to their original bodies, or something very similar, before any of their power can be unleashed; and because the rebirth process has made them unaware of who they really are, their keepers can manipulate them in a way that would be difficult to impossible if they were fully independent superpowered gods. To bring this back to the core issue: since their original bodies would have contained the soul within a core, bringing the pilot's soul in contact with an Eva core through the use of the plug provides a controlled way of completing the circuit, as it were. This doesn't answer why the core is needed in the first place, but we see that the Angels have them and that they are seemingly necessary, so it is probably one of those details that you just have to take for granted. Ok, so at the the top, I can see Anno (or one of the screen writers/researchers) knowing about this theory and somehow subtle working it in, or its just a coincidence that happens to fit something in our real world, which NGE and NTE is full of, like the primary topic of metaphysics in general, which no less than two characters are fully apart of, with others who know a great deal about it.Now, could the human mind survive the transfer? I realized this morning we already have an answer for this in Kyoko, who physically survived the contact experiment, but had her ind literally ripped apart and became not only deranged, but homicidal and suicidal. So this gives further credence that even if the contact experiment goes perfectly well, things may not turn out for the best. Speaking of assumptions, do we know if the Rei of NTE is Rei II, or could she be Rei I? I'm honestly not sure. I've always assumed it was Rei II, but for some reason, this may not be the case, just like we're not sure how the MAGI or Cores work anymore. As for the Core Theory... if there are digitized personalities, or "MOM OS" inside the Core to act as a limiter to keep the children embodying the souls of the Adams from starting anything, that would make sense. It's like the ECU in a car that keeps us from using the full potential of a modern car, by limiting the power output the engine can handle. Now exchange "ECU" with "Core" and "engine" with "pilot" and the theory would make sense, if they do hold the souls of Adam. This theory can be further assumed to be correct with the case of Asuka. As Asuka is being drawn into the Core of Unit-03, her bod grew wings. While I originally thought that it was just some cool imagery at the time, now I believe (with this theory) that as she was drawn in, her Angelic soul was trying to defend itself, which is how she survived. Not only that, the blue glow in her eye is the result of the damage her human body took fighting off Bardiel, and can no longer fully contain the power of her Angelic soul, and the patch acts as a another Core, keeping her bleeding power in check while outside the EVA (think Kenpachi Zaraki from Bleach and his eyepatch), which wold also explain her superhuman strength in cracking that window between her and Shinji. Also, the Core could be used as a moderator like a graphite moderator in a nuclear reactor, controlling, as you mentioned, the two way sync feedback. While the children can feel the EVAs get injured/damaged, they can also move the EVAs as extensions of their own bodies, but having all the tactile data from the EVA being fed into anyone's brain would be overwhelming, so the Core would probably restrict all the data being sent to the pilots for their well being, otherwise they may be too much data to even concentrate on piloting. Now... who would the fourth soul bearer be if we discount Rei and Kaworu? We can assume that Shinji, Asuka, and Mari have them because they're pilots. Seeing as we have no other viable pilots, perhaps one of the adults like Misato, who was present at Second Impact, or a surprise character lie Sakura. Last edited by DarkBluePhoenix on Sun May 06, 2018 12:10 pm, edited 1 time in total. I noticed something very interesting in the Seele Code that pops up on the Wunder's screens last night. I gotta do some more research when I get home and can get some screencaps of the writing on the Vessel's plug. Hopefully it might give us some insight on what it was intending to do. If nothing else it's a neat easter egg. DarkBluePhoenix wrote: Speaking of assumptions, do we know if the Rei of NTE is Rei II, or could she be Rei I? I'm honestly not sure. I've always assumed it was Rei II, but for some reason, this may not be the case, just like we're not sure how the MAGI or Cores work anymore. We do! In 2.0 when she's inside her tank, she's wearing a collar that says 'Rei II' on a little plate! Rei Q doesn' wear one and her arms and legs aren't cuffed to the tank but I have vague memories of a recent storyboard book or something of the like referring to her by number. I think it was 08? Was that a thing or is my brain just making stuff up? BlueBasilisk wrote: We do! In 2.0 when she's inside her tank, she's wearing a collar that says 'Rei II' on a little plate! Rei Q doesn' wear one and her arms and legs aren't cuffed to the tank but I have vague memories of a recent storyboard book or something of the like referring to her by number. I think it was 08? Was that a thing or is my brain just making stuff up? That's what I was thinking of! Thanks! Maybe it's as simple as numbers? With our Rei being #2 it doesn't seem to outlandish that she'd likewise be from the early batch. Asuka spoke to Rei Q before she saw her, so maybe the personality gave it away? Like the early prototype Ayanamis are able to question and develop like Q did but the later ones are good little automatons who have been 'fixed' so they do and die as they are told and that's why Gendo has such a large collection of heads? I could see Gendo banking on something like that to help sabotage the Vessel so Wille could destroy it. If Q hadn't had a sudden burst of self-preservation it might have absorbed her. BlueBasilisk wrote: Asuka spoke to Rei Q before she saw her, so maybe the personality gave it away? Like the early prototype Ayanamis are able to question and develop like Q did but the later ones are good little automatons who have been 'fixed' so they do and die as they are told and that's why Gendo has such a large collection of heads? I could see Gendo banking on something like that to help sabotage the Vessel so Wille could destroy it. If Q hadn't had a sudden burst of self-preservation it might have absorbed her. It's possible that it could have! The black form is called "transitional form" after all. It's just been duplicated and rotated in the top picture so the white dots overlap. This isn't really new information. It's been brought up before in the Adams thread here, here, and there's a handy chart on the wiki too. What stood out to me was the placement; it's the only one of the Ultra Signs that appears in the movie and it just so happens to be the one sign representing the brother who resembles the three-eyed Adam, the one thought to be Unit 01. All this talk of artificial souls and the personality transfer OS got me thinking. What if the Vessel of the Adams is a sort of living hard drive that's carry a...let's say a digitized Adam (or maybe even all four of them), or a Seele-modified replica of an Adam in data form. The data stream it uploads into Wunder could be a control system or a program designed to seize control of Unit 01 and subjugate it to Seele. See how the lines of runes circle around the symbol and sort of seal it in? That could be how the Vessel was able to override Unit 01's control of the ship so easily. Not so much because of its "Original Master" status, but because the payload it's carrying is specially crafted to do exactly that. A speed bump in my line of thinking here is that that this same symbol appears in the Vessel's plug too. I was hoping they two sets of symbols would be slightly different but it seems like they're not, and I'm not entirely sure if it jives with the rest of the hypothesis I'm laying out. Although now that I think about it, the Vessel did temporarily go offline when Asuka decapitated it. Rei's entry plug was going through the reboot sequence when she decided to eject. But the Wunder didn't seem to recover at all. When it died, Wunder's systems instantly recovered except for the main engine, which needed time for some reason. So the Vessel might not have simply been spreading itself into the Wunder's systems. But I think it's at least within the realm of possibility given what we know. Consider the Dummy Plugs for a second. As far as we know in this continuity, they're not linked to Rei. We don't know who or what they're replicating if anything. But we do know they were made in Golgotha Base. Golgotha is a place outside of Jerusalem where Jesus was thought to be crucified, but it also doubles as another Ultraman reference. Planet Golgotha is where the villain Yapool captured and crucified the four Ultra Brothers in Ultraman Ace. That's what's happening in the chart up above. He then drained their powers from them and transferred them into Ace Killer, a robot he'd built to kill the fifth brother, Ultraman Ace. 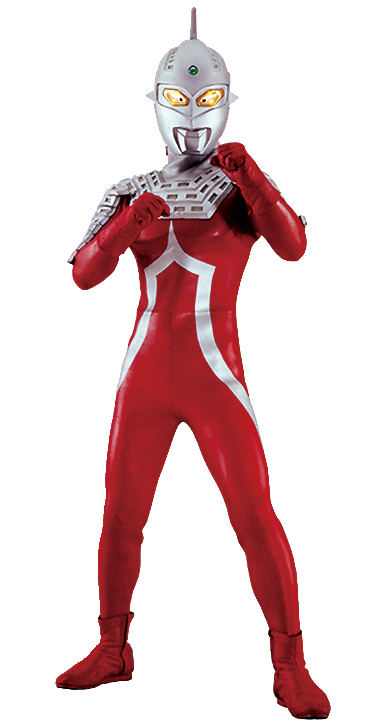 Ace Killer was able to replicate all of their signature attacks even though he wasn't an Ultra himself. The Vessel also displays abilities very similar to the awakening Unit 01 and what little we saw of Mark.06, but only after Seele's control system takes over. What do you guys think? The Vessel having the same symbols inside itself took a bit of the wind out of my sails, I admit. But it couldn't hurt to put the idea out there for consideration anyway, right? 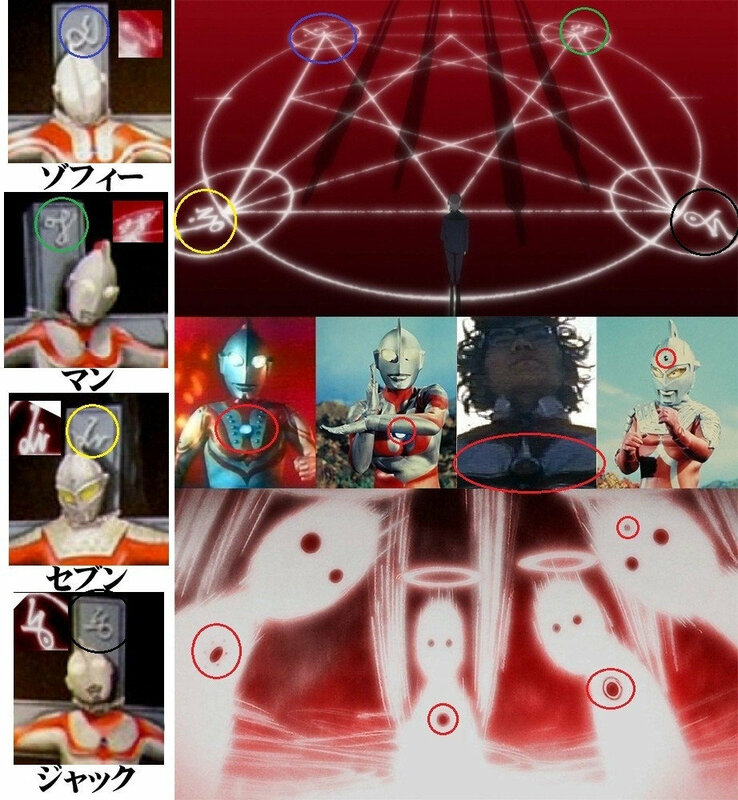 I can't believe I'm still finding stuff out about this movie, after almost six years, and that it is Ultraman references LOL. I think the angels have a different and "special" interaction with the Adams Vessel. Mark 06, 09 and Eva 13 seems to have some control over the angels subjugating them. I can't say what happened exactly during Third Impact, but Mark 06 (and then unit 13) used its autonomous mode dominating over 12th angel, this appears to have similar properties as the Mark 09 with AAA WUNDER. And that makes me wonder what is the origin of AAA WUNDER, I think it could be the 11th angel, it's central body appears to be a structure of bones (similar to Gaghiel's form) controlled by an Entry Plug using LCL in a gaseous state. Angels can not be controlled by Lilins, at least not directly, which reminds me of the attempt to control the 3rd angel in 2.0 using an entry plug (probably with the dummy system). By the end of 1.0, 6th angel was defeated and the 3rd angel was still alive, that means that the angels are named in order of appearance (or discovery) and do not take into account directly if the previous ones were defeated or not. When Mari mentioned that she thought the 12th angel was the last (and still alive) it did not imply that the 11th angel was dead, at least referring to the fact that there should not be another dangerous angel nearby. Referring to Mark 09 as its true master, it involves controlling the angel and giving it energy. It seems to be that this Adam's Vessel originally did not have an S2 engine and it extracted from this possible 11th angel easily. At some point during the 14 years AAA WUNDER stopped being controlled by the Mark 09 and were separated for unknown reasons (probably to use the Mark 09 as a combat unit). Here is the scenario where probably - taking advantage of the moment - WILLE stole the AAA WUNDER from NERV/SEELE. AAA WUNDER was controlled by the Autonomous System of Mark 09, which could be controlled remotely from its Entry Plug (in the same way that Rei Q used the Mark 09). When the Mark 09 was removed, it's system was already installed in AAA WUNDER, and was remotely controlled by a big Entry Plug operated by WILLE crew. As you have mentioned earlier, this Autonomous System seems to be used as the Dummy System, but it's inserted into the core of an Adam's Vessel, and contains data from the Adam's soul (probably an impression of Kaworu's soul). I think the AAA WUNDER will have an important role in 3.0+1.0, especially for deploying an AT field as strong as the Eva Units, it could be the only way for humans to survive Instrumentality, since it's likely that an Anti AT Field will be generated in 3.0+1.0 in order to neutralize the AT field of the Lilins. AAA WUNDER could be used as an ark to protect lilins that are not Eva pilots. Josdavi: Your post doesn't address what "Adams' Vessel" actually means, which is important for any speculation about AAA Wunder. As a reminder, "vessel" here means "container", as in "a vessel for a soul". The name indicates that its origins are tied to the Adams in a very direct way, something the whole "11th Angel" thing doesn't really deal with well. 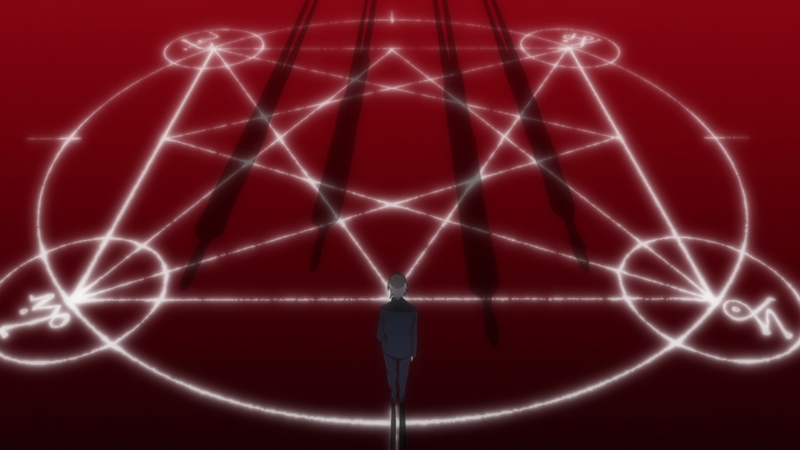 Further, the real importance of the 12th Angel being the last, and Kaworu ceremoniously being cast down to 13th, is that it's a reminder of how Seele and Nerv operate. Never mind that the Angels were being exterminated out of order -- Seele was having them exterminated nonetheless, as part of a rite to pave the way for Instrumentality. The 3rd was being retained for research purposes, but it would have surely been terminated sooner or later had its escape not forced Nerv's hand. Now consider that Seele have needed to wait fourteen years after the disasters of N3I and 3I before being able to proceed with what they think is their version of Instrumentality. Do you really think they are going to go forward with this while a gigantic Angel is still on the lam? Notice that nothing is done about the Wunder until the Impact has already started. At this point, Mark.09, acting explicitly on a Seele program here, doesn't even try to destroy the Wunder -- it merely disables the weapons and then tries to regain control of the ship. Does this seem like something Seele would have it do, during "their" IMPACT, if the Wunder is actually one of the Angels? Why in the world would they want to keep the 11th Angel alive? Another very basic problem with the "11th Angel" idea is that the Wunder does not have a core, which Angels do. The object that superficially seems core-like is a biomechanical container, identical to the one Eva-13 was being kept in, which has no core-like properties. (These movies are not subtle about what constitutes a core or core-material, either, since telltale animated textures are applied to anything made from the stuff.) Eva-01, placed inside, was effectively functioning AS the core instead. Needless to say, if the Wunder really had been an Angel once, anything done to it that got rid of the core would have gotten rid of the entire body, since without fail every Angel that's had its core destroyed has undergone image collapse. 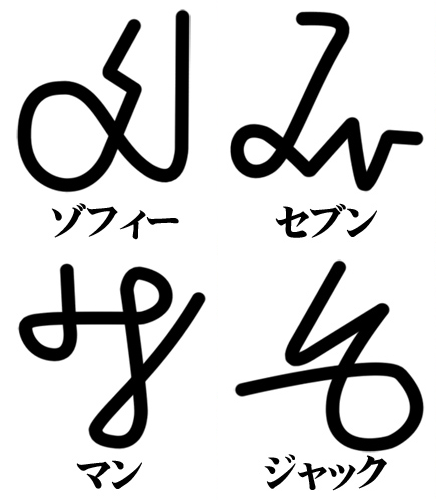 The Wunder seems more to be something intentionally designed as an "Evangelion for Adams" that was modified for Lilin use than something that had ever been an independent being. This explains why a being that is, in effect, called "an Adams' core" (Adams' Vessel; vessel as in vessel for soul; the core is a vessel for the soul) would be called its master -- because the Wunder was designed to have Adams go inside it and act as the core. The thread goes into this idea in more detail. Very interesting discussion going on here. Very enlightening for the background lore of the rebuild films. Did even spark my imagination with a very sweet oneshot I wrote with an "What if...?" questions as the starting point. A soft breeze from the sea petted his face and the sun warmed his face shining from a cloudless blue sky. A faint sensation of salt even inbetween the bloodlike coppery stench of the LCL. It wasn't very warm outside and would he have sit in the shadow of the pylon to his right he would have frozen in the wind. But here it was just pleasant. The purple armour plate he sat on even warming up to not feel cold at all. He let his eyes wander across the landscape taking in the whole scenery. To his left a couple of kilometers away stretched Neo Sevastopol along the shore of the blocked of Black Sea. Patches of grey and some green on the now red rolling shore of the Crimean Peninsula. Waves crashing on the shore in a colour inbetween the dead Pacific Ocean and the Arctic Ocean, which still had some life left in it. His gaze stopping towards the West trying to reach past the horizon. Trying to reach beyond where his greatest failure was. He was so lost in his brooding that he didn't notice the sound of bare feet on metal coming nearer from behind him. He flinched as a hand touched and pressed down on his left shoulder. The person belonging to the hand immediately sitting down in his warmer lap than on the colder metal ground. He instantly put his arms around her to pull her closer to him in a warming embrace. "How did you sleep?" he asked while she leaned her head back against his chin. "For how much we actually slept, remarkable well." she shifted and fidgeted some. "Hey, can you wrap us both in the blanket. Don't want anything between us." He took the blanket from around her shoulders as he was told and wrapped them both up. She took the oppertunity to change postion and cuddle even more against him. The hairs on her uncovered legs standing up momentarily in the fresh breeze. And they just stayed like that. Both savouring the closeness, peace and tranquility of the moment. Who knows when and if there would be anbother one like it in this broken world. After some time she started to run her right hand through his hair. Playfully careessing the grey, almost white, hair in her hand. The new thicker ring on one of the fingers a new experience to get used to. "So how did you like our time here?" he asked. "It was perfect. Maybe should have gotten out of bed more and take some more walks in one of the most normal cities there still are, but I don't really mind either. Was well spend either way." "Not everyone can get such a vacation and even honeymoon in these times." she added shortly after. 'She is right. Even though vacation means being redeployed to the least likely civilian target to be attacked, playing giant bodyguard of a city for a week.' he thought dryly. Not that it didn't stop them. "I just wish it would stay like this forever, Asuka." She lifted her head up to look him directly in the eyes. One deep blue and one of a lighter shade starring into a pair of crimson red ones. "Sadly we cannot do that Shinji. We have a responsebility to the world after all the years and all our mistakes." "I know." he said, leaned into her and their lips met. The kiss locked everything of the sorrounding universe out for them. There were only the two of them unmoving frozen in time. They didn't notice the sound of air rushing around a fast moving humanoid object coming up the hill towards them and still didn't notice a giant pink figure coming to a screeching halt infront of them. For a second six green cicrles stared at the scene and a cheeky grin met a pair of glasses. "OH LOOK AT THAT SWEET PAIR OF NEWLYWEDS!" shouted the external speaker system of Unit08 towards the recipients. Which promptly stopped their intimacy to their annoyance. "AH to hell with you glasses! Never heard of privacy?! came to prompt retort from Asuka who wanted to stand up despite only wearing underwear and a jacket reaching beyond her hips. But couldn't because Shinji held her back. He let Asuka reprimand Mari for both of them and looked towards the sea from their place on Unit13's right shoulder, which they had parked sitting on a hill outside of Neo Sevastopol. After all can you make a human an Adam's Vessel? Reichu wrote: Another very basic problem with the "11th Angel" idea is that the Wunder does not have a core, which Angels do. The object that superficially seems core-like is a biomechanical container, identical to the one Eva-13 was being kept in, which has no core-like properties. (These movies are not subtle about what constitutes a core or core-material, either, since telltale animated textures are applied to anything made from the stuff.) Eva-01, placed inside, was effectively functioning AS the core instead. Needless to say, if the Wunder really had been an Angel once, anything done to it that got rid of the core would have gotten rid of the entire body, since without fail every Angel that's had its core destroyed has undergone image collapse. The Wunder seems more to be something intentionally designed as an "Evangelion for Adams" that was modified for Lilin use than something that had ever been an independent being. This explains why a being that is, in effect, called "an Adams' core" (Adams' Vessel; vessel as in vessel for soul; the core is a vessel for the soul) would be called its master -- because the Wunder was designed to have Adams go inside it and act as the core. The thread goes into this idea in more detail. And when you really look at it, Wunder's "ribs" aren't ribs at all, just two twisting bands that run from neck to tail and a rib-like cage over the engine. I'm not sure the ship even has organic components outside of the engine. There's not much to the lower part which comprises the 'body' and everything on that platform topside looks constructed. It being related to Seele's plan for Instrumentality seems possible if only because Wille using Unit 01 as an energy source, right inside of it, is a dangerous idea given how much fusing Unit 01 was doing with various things in EoE — plus Gendo just being incredibly clever with foresight. I wouldn't be surprised if the finale Rebuild has Shinji boarding Unit 01 (hosting Rei) once more, it fusing with Wunder, Unit 1nder then fusing with Unit 13 (hosting Kaworu) and then merging with a whole bunch of Spears.